I encourage those interested in working with me as a Postdoc or for a PhD or MSc by Research to contact me directly. Although internal funding for graduate studies is currently unavailable, I am happy to discuss self-funding arrangements and to help students develop studentships applications to funding bodies, either in the UK (e.g. DEFRA, Leverhulme Trust) or from international sources (for a summary of funding for international students, see this handy guide). See our Research Group page for additional information about our graduate programmes and for descriptions of potential projects for MSc by research students. 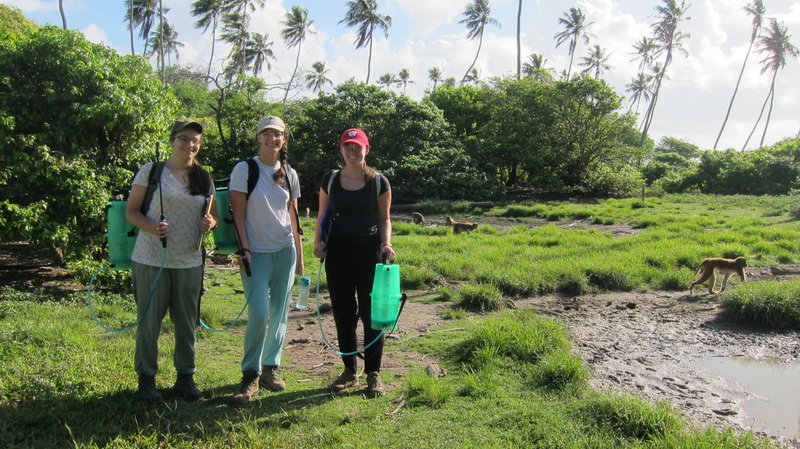 I am frequently looking for dedicated and enthusiastic research interns to assist in the collection of data on a variety of projects at my field site in Puerto Rico and to help here at Exeter with the analysis of previously collected data from a range of different systems. Many of my previous interns have gone on to graduate school or to work at government agencies. Field-based positions typically require a 4-6 month committment. If interested, contact me with a copy of your CV and description of your research interests but bear in mind that positions are limited.